One of my favorite characters in TV history was Star Trek’s “Spock”. Yesterday, Leonard Nimoy, Spock of ‘Star Trek,’ Died at 83. Find all the details regarding the republication here. 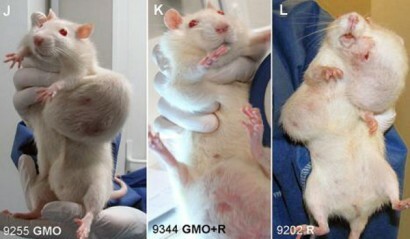 Remember the GMO rat study finding that rats fed GMOs developed tumors and died prematurely? After Seralini’s long term toxicity study results were publicized with displays of rats showing huge tumors, a tsunami of outrage from pro-GMO related scientists got favorable mainstream media (MSM) press. 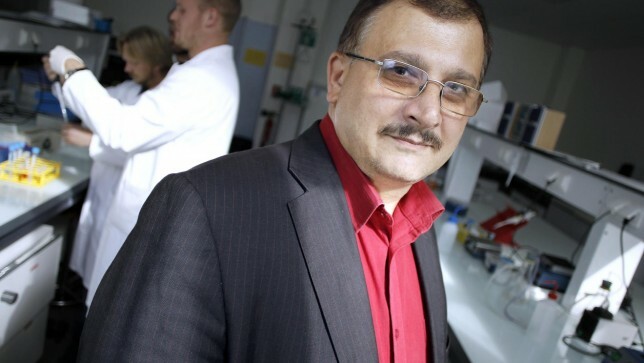 The hundreds of scientists who defended Seralini’s work were ignored. Many fence sitters were left confused and willing to side with the barking dogs of the biotechnology industry.This publicized display was the air and sea attack to soften the defense of the anti-GMO ideology island. Then the actual landing attack against that island’s science was embarked by setting up former Monsanto scientist Richard E. Goodman in a newly created biotech editorial position at the journal Food and Chemical Toxicology (FCT).That’s the journal where Seralini’s study “Long term toxicity of a Roundup herbicide and a Roundup-tolerant genetically modified maize” had been originally peer reviewed and posted. With Goodman steering the landing craft, the editor-in-chief of FCT, Wallace Hayes, removed Seralini’s paper from the journal. – GMO Food Safety – Seralini And Zhu: Double Standards? SCIENTISTS from around the world have united to condemn the retraction[1,2] by the editor of the Elsevier journal Food and Chemical Toxicology (FCT) of the pioneering study on genetically modified (GM) maize and Roundup herbicide, conducted by Prof Gilles-Eric Séralini and his team at the University of Caen, France. The study found that rats fed the GM maize and/or low levels of Roundup in their diet suffered severe organ damage, particularly to the liver, kidneys and pituitary gland. Additional unexpected observations were higher rates of large tumours and mortality in most treatment groups. A small army of landmine-detecting rats is to be redeployed in Mozambique in a push to meet a deadline to have the country declared free of mines this year. Belgian non-governmental organisation Apopo trains African giant pouched rats to sniff out the explosives in landmines by conditioning them to associate the scent with rewards of food. The rodents, which weigh about as much as a small domestic cat, are light enough to move over terrain without setting off the mines. They are followed by a team of mine-removal experts with metal detectors. He fed rats GMOs, in the form of Monsanto’s Roundup Ready corn, and they developed tumors. Some died. The study was published in the journal, Food and Chemical Toxicology (wikipedia). Pictures of the rats were published. Egyptian researchers have found that Bt corn is not substantially equivalent to non-GM parent and was toxic to rats, even after only 91 days of feeding. These findings arose from three studies published in 2012 and 2013 on a type of GM insect resistant Bt corn developed using Monsanto’s MON810 trait. One study showed that the GM corn was not substantially equivalent to the non-GM parent. 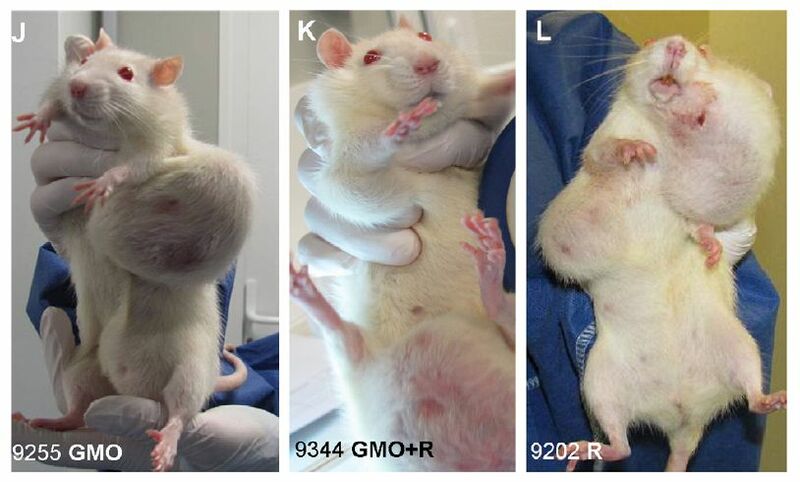 A second study examined the effects on rats of a diet containing the GM maize. The study found that the GM corn diet caused increased or decreased organs/body weight or changes in blood biochemistry that indicated possible toxicity. In the third study, histopathological examination was carried out on the rats fed the GM maize, and the results were compared with rats fed non-GM maize. The study found clear signs of organ pathology in the GM-fed group, especially in the liver, kidney, and small intestine. An examination of the testes revealed necrosis (death) and desquamation (shedding) of the spermatogonial cells that are the foundation of sperm cells and thus male fertility – and all this after only 91 days of feeding.